I know it sounded strange to some of you when I said in my last post that it had been a long weekend, and I was ready for a break. But my true “weekend” doesn’t generally happen until Sunday or, as in the case of this present week, Monday. And boy, do I need it. I’ve been thinking tomorrow or Tuesday should include some wilderness and birding, but I have no firm plan at all as of yet. And since I have birds on the brain, and since I mentioned Naomi Shihab Nye’s poem, “Ted Kooser Is My President,” I decided to look at his website, TedKooser.net and see if there was a nice outdoorsy poem to read for this 14th day of my recording project for Poetry Month. Well, wouldn’t you know, there on his home page is a poem called “Screech Owl.” Perfect. 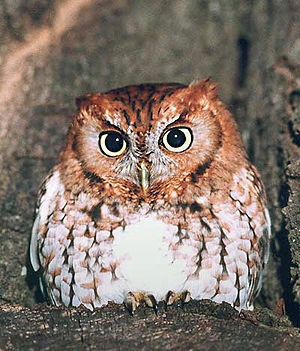 Have you ever heard a Screech Owl? Sometimes their calls are like trills or warbles, but I knew just what he meant when he used the word “whinny.” Sometimes it’s called begging, though I won’t get into the birds and the bees stuff too deeply just now. But I tell you, there are few things more lovely to hear when you are camping in Penn’s Woods, or in Ted’s case, Nebraska, than the sounds of one of these munchkins off in the trees somewhere in the distance, except perhaps two of them calling to each other. You can read up on these itty-bitty creatures of the night woods on All About Birds, and listen to their whinny call by clicking right here. More noises from larger members of the owl family at Lerner.org here. I have several types of owls on my property…one is a screech owl…so this poem was a delight to read and hear. Thanks for reading this great little poem. Something about the mystery of a screech owl seems to inspire verse. I just captured the sound of a couple myself here in southeastern pa. I look forward to hearing them at night. I’m so glad you liked it, Scott. Gorgeous capture, complete with a sturgeon moon!